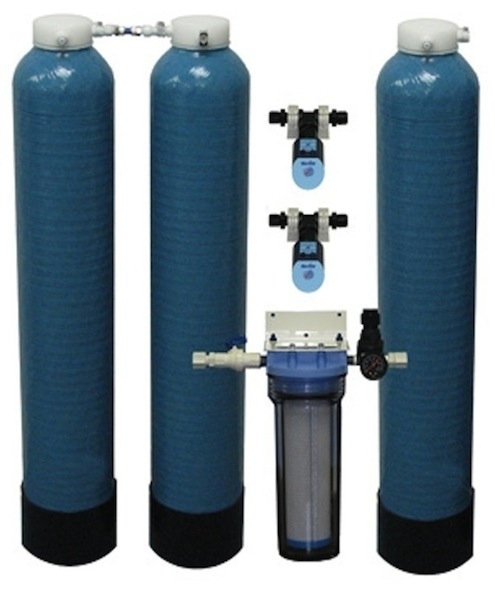 This three tank 6-LPM Type II/III DI System is designed for applications that require up 160-Liters of Type II/III DI water/day, when fed tap water containing up to 340 PPM of total dissolved solids. The systems includes three installed and one spare. 18,000 Grains Ion Exchange Capacity. Includes LCD readout conductivity monitor with adjustable setpoint and flashing red LED alarms.